The girl in this illustration has lost her way in a dense forest. 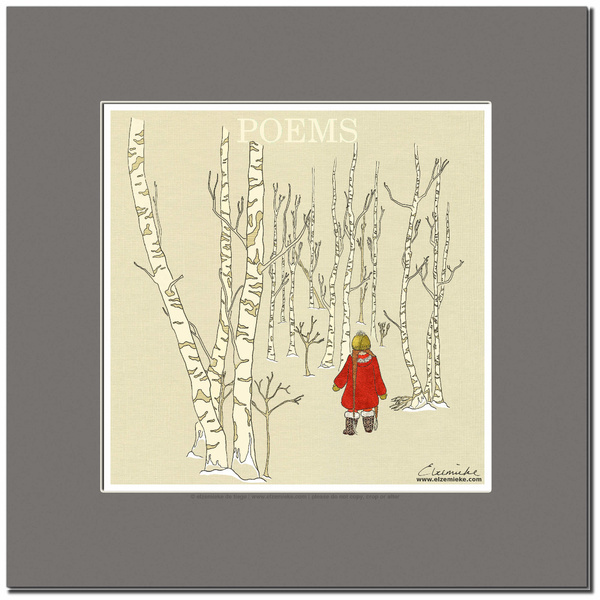 It's winter and she's trapped in a white world of snow and tall, identical trees. She feels scared and wanders around in circles until suddenly, the trees seem to come alive and show her where to go. This illustration features in the German children's book Das Mädchen mit den langen Zöpfen (The girl with the long braids, 2013). The book tells the story of a young girl named Teona and her adventures in nature. 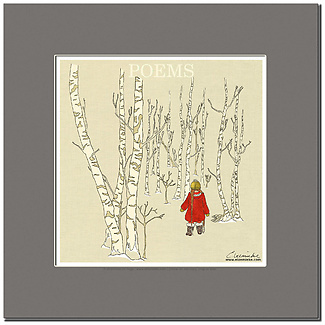 This listing is for a fine art print, titled "Poems". The print will be delivered with a grey passepartout (see the image at the top), ready to pop into a 30 x 30 cm frame.